You really can't talk about pursuing simplicity without speaking about how you spend your time. 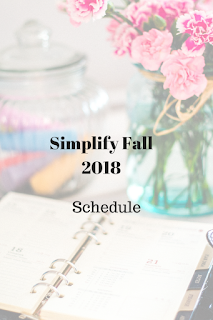 In my pursuit of a simpler lifestyle, nothing has been more challenging to me than balancing my schedule. I want to participate in my community and support my children's interests while also maintaining healthy boundaries. It is a tough thing to figure out. A simple schedule will look different to everyone. We are all built with varying energy levels, health issues and personalities. I have never been a high energy person. I am an introvert. I am happiest at home with my family. I rarely feel the urge to socialize and I often don't enjoy social situations. I find most interactions to be draining. That being said, we are built as social creatures. We all need community and need to belong. I have two young children, which means that I rarely sleep enough. I try to keep all of this in mind when adding anything to my schedule. I like to volunteer my time to help my community. I currently sit on our local Daycare board and Library board. I have been asked to join other organizations but my answer is currently no. I have learned that I need to limit my commitments so I don't become overwhelmed. I used to have a really difficult time saying no to anything. I actually took a full year and called it my year of "no". During that time, I got rid of the commitments that I could and I refused to take on anything new. This was a little bit radical but it did teach me that I don't have to do everything. Other people will step up if you don't. I like to help out but I had to stop feeling like I had to help out with every cause around me. My oldest daughter is in playschool this year. My husband and I have decided that we are not able to participate in activities on school nights. Our daughter has to be in bed on time and it can be a real struggle if we don't adhere to her schedule. We make the occasional exception to this rule, but the event has to be of great importance. My daughter is also at the age where she can begin to join activities. We have decided to allow her one activity this year. She is still so young and we feel that her free play time is important. We don't want to schedule her every minute. I enjoy my friends and play dates, but I am careful to really look at my calendar before agreeing to anything. We use our non school days for appointments and visiting friends. I do my best to limit us to one visit or appointment per day. Our family thrives when we have a lot of down time built in. This may vary for you. If you are extroverted, you may find socialization to be energizing. You may look to schedule at least one visit with friends per day, if not more. This is totally okay. It is much easier to examine your schedule if you can be honest about what works for you and your family. We don't need to push our kids to be in each and every activity so that they can be 'successful'. On the other hand, you may have extremely high energy children who thrive when they have scheduled activities. 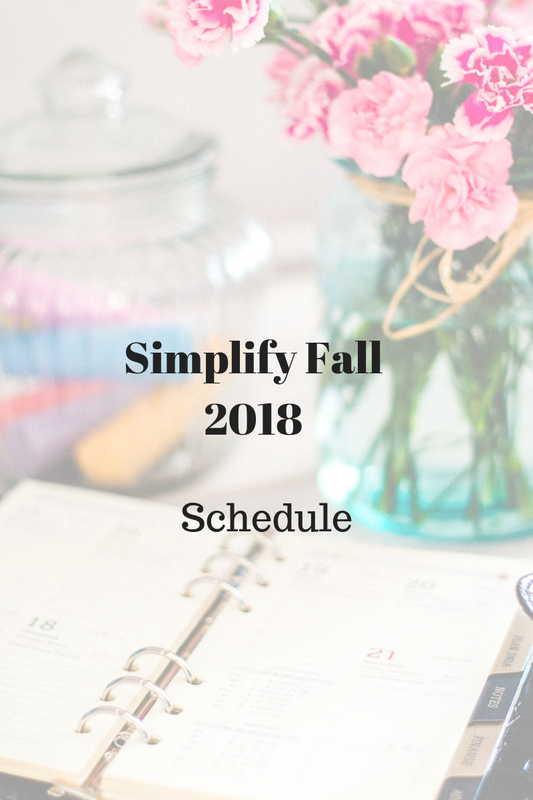 Our schedules, like every other area of our life, are individual. What works for you may not work for your neighbour. We must not feel pressured to fill our time in a way that makes us stressed or unhappy. So much yes to being an introvert! I am struggling to find this balance myself because I’m most comfortable at home, but then that can start to feel isolating and add to my depression. So I’m trying to learn to fit in a few hours of social interaction (or at least leaving the house ha!) with plenty of time to recharge at home. Like you said, it’s all about finding what works for you! Yes! I think it is so easy for us to fall into the "I should" mindset, rather than considering what works for us best as individuals. I love your approach, Jess. It is a tough thing to balance but I think that it is worth putting the effort in to figure it all out.